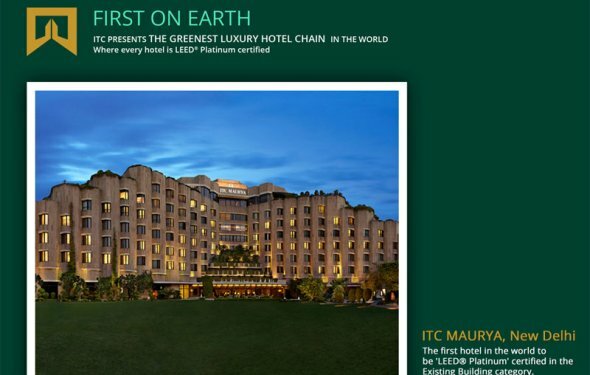 The ITC Maurya has been the preferred residence of visiting heads of state and global business leaders for over 25 years. This extraordinary hotel combines an historic aura with contemporary facilities to create an unrivalled luxury hotel experience. Situated in the heart of the exclusive Diplomatic Enclave and surrounded by views of Delhi’s green belt – the forested ridge, our business hotel is a convenient 14 kilometers (25 minutes) from Indira Gandhi International Airport (DEL). An imposing structure of timeless luxury boasts inspiring architecture and a majestic ambiance – a tribute to the age of the great Mauryan Dynasty, which created the golden era of Indian history. Our 438 rooms, including 24 uniquely-designed suites, are available in a variety of room categories, from the Executive Club, which pioneers a tradition in corporate hospitality, to the Towers’ eight luxurious floors of elegance and tranquility. The Luxury Room combines the best of opulence, space, and service standards, and the ITC One – our premium room category – offers magnificent decor, impeccable service, and the latest in modern conveniences and amenities. One of the most popular dining destinations in the city, ITC Maurya additionally offers an assortment of internationally acclaimed cuisine. Kaya Kalp, the Spa is a haven of unparalleled peace and indulgence. An array of traditional Indian- and Western-style therapies, along with lavish hair and beauty services, are intertwined into an experience that is relaxing, rejuvenating, and rebalancing to body, mind, and soul.